He sustains professional interests in clinical care, education, research and administrative aspects of geriatrics, maintaining a clinical primary care practice of frail older persons, and attending on inpatient and geriatric psychiatry units at UCLA. 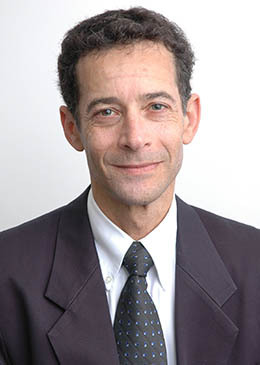 Dr. Reuben is a past President of the American Geriatrics Society and the Association of Directors of Geriatric Academic Programs. He served for 8 years on the American Board of Internal Medicine’s Board of Directors, including as Chair from 2010-2011. In 2012, Dr. Reuben received one of the first CMMI Innovations Challenge awards to develop a model program to provide comprehensive, coordinated care for patients with Alzheimer’s Disease and other dementias. In 2014, he was one of three principal investigators to be awarded a multicenter clinical trial (STRIDE) by the Patient-Centered Outcomes Research Institute (PCORI) and the National Institute on Aging (NIA) to reduce serious falls related injuries; it is the largest grant that PCORI has awarded. He also leads a PCORI methodology grant to determine and measure patient and caregiver goals in Alzheimer’s disease and dementia. In addition to his leadership in geriatrics, Dr. Reuben continues to provide primary care for frail older persons, including making house calls. In his spare time, Dr. Reuben has written five plays and lyrics for more than 20 songs with composer Sidney Sharp. A compilation of the first 10 has been recorded.